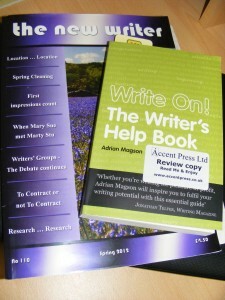 Spring Cleaning – thanks Adrian Magson and The New Writer! It all started with Simon Whaley talking about my piles. Ok, that’s not strictly true. I commented on Twitter that my dismantled study was in piles in my bedroom (building work loometh), and that amongst said piles I had to find a stack of not-so-sticky-any-more sticky notes: a scene-by-scene novel plan. I won’t tell you what Simon said about my piles, gentle reader, because your delicate ears don’t need to hear it. But by the time I’d retrieved those sticky notes I had decided enough was enough. I couldn’t cope a moment longer without a desk – I can write anywhere, but need one organised location for all my writerly bits. And I couldn’t cope a moment longer with my bedroom resembling the aftermath of a riot in WHSmith. either. 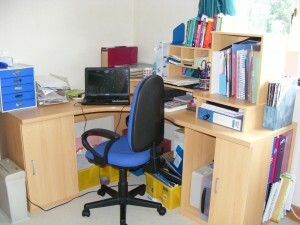 Currently the only place for my large desk is in the corner of the riot-stricken bedroom. Cue large scale furniture moving and reorganisation. But it so happened that in this very week I had been rereading Adrian Magson’s Write On!, and had got to the section about Spring Cleaning, AND had found the The New Writer’s spring issue that I had somehow failed to read, featuring Nicola Daly’s article about…Spring Cleaning. Both writers were urging me to go through my old work and spring clean my attitude to my writing too, as well as giving me a timely reminder that sometimes, as much as we love books, it’s time to let some go *sniff*. I took their advice and a week later I am just about sorted. There is still paperwork to go through, but the desk is reassembled and reorganised and around 100 books have been decluttered, with those that remain (don’t be fooled, there are still hundreds!) reorganised on bookshelves that now have new homes. Despite my doubts, it seems my bedroom can be both haven and workplace. But what was most useful was the looking back through old notebooks. Adrian Magson says doing this can ‘make you realise that what you wrote in the past actually wasn’t all that bad’. But if like me, you have the memory of an inebriated goldfish, you can leave out the ‘wasn’t all that bad’; it can make you ‘realise what you wrote, full stop. How can I have forgotten the beginnings and rough synopsis for a story I originally intended for the National Trust/Mills & Boon competition? (Looks like a good candidate for a My Weekly Easy Read submission). Or that when I started writing a pocket novel at Sally Quilford‘s Pocket Novel workshop last year, I based it around Cornwall and smuggling because I’d been researching those topics for the YA novel I had fully planned out? I had started far more, and got further along with far more, than I remembered. Great news. Hopefully my new ‘writing home’ will produce good results. In the meantime, no hate mail please just because I forgot to take the ‘review copy’ sticker off Adrian’s book. I buy lots of books but occasionally am spared the expense of doing so by the perks of my husband’s job, and luckily he manages to bring home some Accent Press review copies (unfortunately someone beat him to Sue Moorcroft’s Love Writing, so that is on the Christmas list…and if I found out who it was… my vengeance shall be mighty! Just to confuse you, I’ll do the good (although slightly old) news, first. 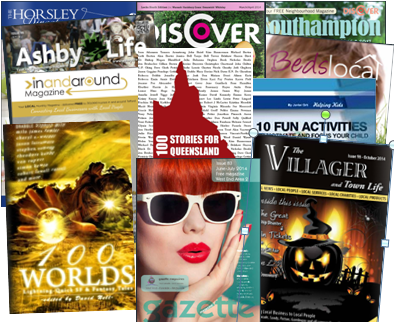 Which is (drum roll): despite writing it in a tearing hurry, my submission to 100 Stories For Queensland was accepted! If you haven’t heard of this excellent volume, it’s an anthology that will be published to raise money for charity, following in the footsteps of 100 Stories for Haiti and 50 Stories for Pakistan. I was pleased to be on the shortlist, but thought that’s as far as it would go, so very chuffed with the news. The story is called Pop, and it’s about…ah, well, that would be telling. You’ll have to buy the book. I’ll just say that it’s a light-hearted humorous tale that was inspired by a birthday card – one that was sent to Techie Husband several years ago. So you see – ideas really can come from anywhere! The book will be available in print, digital and audio formats, and is full of the work of other lovely writers, such as Sally Quilford, Simon Whaley, Glynis Scrivens, Sue Moorcroft…and 95 others, of course! Now for the Giveaway (drum roll again please, Mr. Collins. And do take that gorilla suit off). What’s the title of Lisa’s first Det. D.D. Warren novel?